Week 22 Box Office Winner: "Deadpool 2"
Today's a confusing day for the weekend box office. While Box Office Mojo says that "Solo" is in the number one position the official numbers from ComScore say "Deadpool 2" won the international box office. 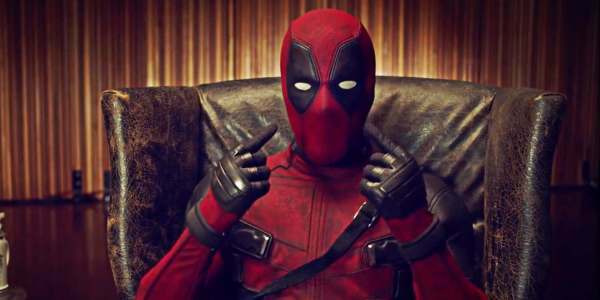 In the end, there's a minor difference between "Deadpool 2" which made $64.9 million over "Solo" which made $59 million. Solo is a bomb, but how big of one? Walt Disney's "Solo: A Star Wars Story" dropped from its number one spot to number two in its second week. It lost a whopping 65% to make $29.3 million for a domestic box office gross of $149 million and a worldwide total of $264 million. It's worth noting that "Star Wars: The Last Jedi suffered a big drop in its second weekend too. The movie dropped 67.5% in its second weekend compared to its first. The big difference is that "The Last Jedi" made $71 million domestically in its second weekend alone Solo is struggling to make $30 million. Disney's problems are going from bad to worse. 20th Century Fox's "Deadpool 2" moved up one position to the number two spot in its third week. It lost about 46% to make $23.3 million for a domestic box office gross of $255 million and a worldwide total of $599 million. It's still kind of struggling internationally but is still doing well. Walt Disney's "Avengers: Infinity War" moved down one position to the number four spot in its sixth week. It lost about 40% to make $10.4 million for a domestic box office gross of $643 million and a worldwide total of $1.96 billion. It'll make that for sure in the coming weeks and will be in the top four movies to break two billion along with Avatar, Titanic and "Star Wars: The Force Awakens". Paramount Pictures' "A Quiet Place" moved down two places to the number 11 spot. It stayed in the top ten for eight weeks. It lost about 27% over last week to make $1.8 million for a domestic box office gross of $184 million and a worldwide total of $320 million. In other indie movie news, the R-rated sci-fi movie "Upgrade" surprised everyone with is in sixth place debut at $4.46 million. BH Tilt's movie is a big win for the small-scale Blumhouse movie studio. It's about a man who's given an experimental chip to let him walk again who becomes a superhuman judge, jury, and executioner. Walt Disney's other big bomb, "A Wrinkle in Time" dropped six positions to the number 26 spot in its 13th week. It lost about 41% to make less than $1 million for a domestic box office gross of $98 million and a worldwide total of $130 million. The movie is coming to home video tomorrow.